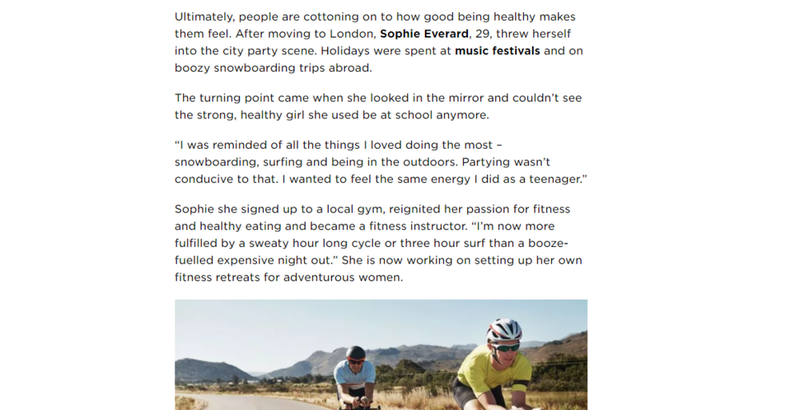 I recently chatted to online zine of all that is action, adventure, wellness and more, MPORA.COM about wellness being the new hedonsim, and how so many of us are now swapping boozy breaks for healthy holidays. I discussed how I used to be a pretty wild party animal back in the day, partial to hedonistic festivals and boozy snowboard trips over the year. As i started connecting back with fitness and the love I used to have for sport as a teenager, the weekly hangovers began to subside as I got stoked more on breaking a sweat, surfing, and feeling fit and strong. Of course, I still love a party. I still knock back some red wine after a long day, dance until the sun comes up and go crazy for a good festival, but I just make balanced choices and have a more balanced life, with feelin' good through living healthy and doing plenty of sport taking precedence. Check out the full article below for a great piece by Nina Zeitman. NEXT DATE OF SHRED READY: SURF FITNESS ANNOUNCED. BOOK NOW! Surf Dome #WorkYourBikini Campaign Live!